If you are a homeowner, it may be years before you need to completely replace your roof. It will usually last at least a couple of decades, depending on which type of material is used. However, this does not mean that you should trust that it’s going to be free from problems year after year. A periodic inspection should be conducted so that you don’t end up with damages from a failing roof that cost thousands of dollars to fix. Often, there are telltale signs that you need a new roof. If you follow these clues and take a proactive stance, you can avoid potential damages and increase the likelihood that your home will stay protected from the elements. One of the first signs you need a new roof is if the current one has not been replaced for decades. Typically, conventional asphalt roofs will have a lifespan of approximately 20 years. However, roofs made from metal or a material like clay tile have a much longer lifespan than asphalt roofs. Another one of the signs that you need a new roof is if the shingles are starting to buckle or curl. You can check this by examining them in direct sunlight. You should be able to see if they are starting to curl upwards. Shingles need to lay flat to work properly. If they are warped, you may notice that they have lost granules due to wear and tear from the weather over a long period of years. It’s also important to inspect the roof valleys, which are the channels running up and down where the roof folds. If the shingles that are located in these areas are falling apart or missing, this is a definite red flag and a signal that you need to determine if it’s time for a new roof. These areas see much more activity as they direct the flow of rain, debris, and ice or snow off of your roof. Oftentimes, these are the sections of the roof to lose shingles first. If they are allowed to deteriorate too far, they are susceptible to letting water through the roof. Keep an eye out for any missing shingles. If you find one or two missing shingles, thoroughly inspect the area, remove worn shingles and repair the area. After it rains, you may want to reinspect any areas that you repaired to make sure that the new shingles are keeping out water. If there are missing shingles all over the roof instead of just here a few, this is one of the signs that you need a new roof. Often, when shingles begin reaching the end of their lifecycle, they will start to lose their granules. When this happens, you’ll notice darker areas on your roof where shingles have lost a large portion of their granules and are no longer protecting your home from the elements. You’ll also find shingle granules in your gutters. It’s important to examine your gutters at least once a year and clean up any debris that has accumulated. This not only helps water flow correctly but may provide you with some signs that you need a new roof. 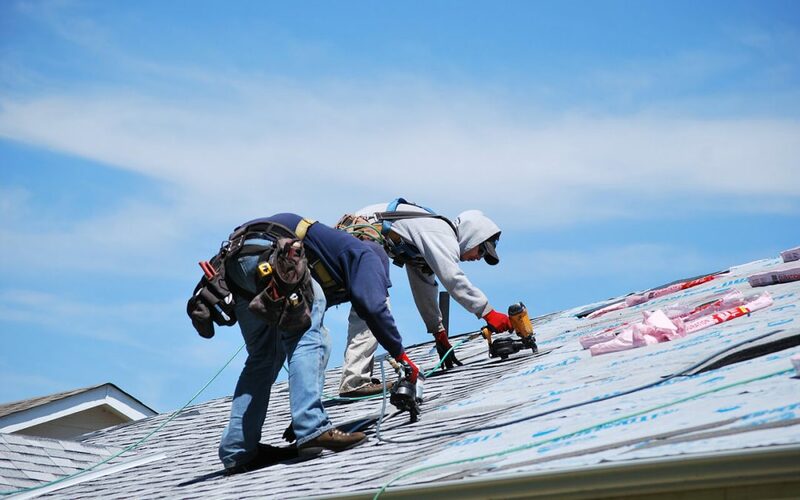 Now that you understand the trouble spots and signs that you need a new roof, you should be able to stay one step ahead of any long-term problems. When in doubt, hire a home inspector to give you their professional opinion. Blueprint Home Inspection serves the Central Coast of California with home inspection services. Contact us to book an appointment.